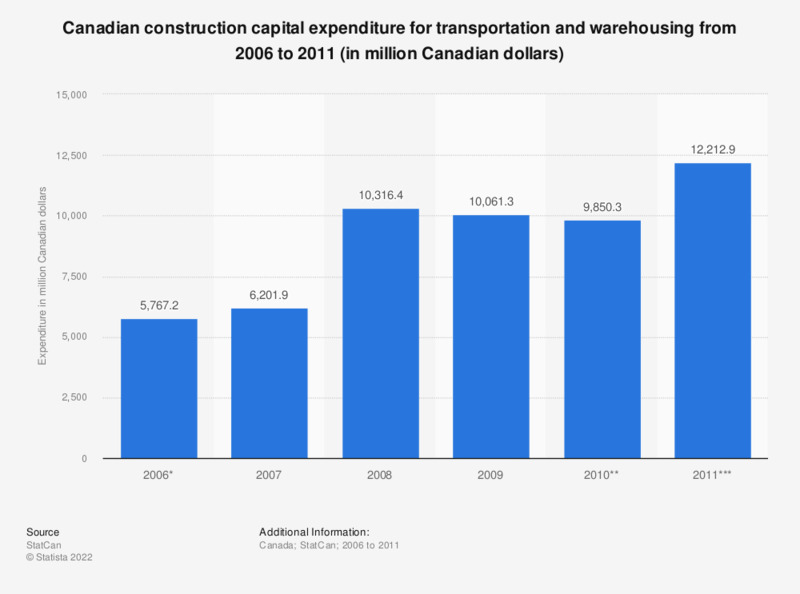 This statistic shows the Canadian transportation and warehousing sector's capital expenditure on construction from 2006 to 2011. In 2006, such expenditure came to around 5.8 billion Canadian dollars. The data are based on the Capital Expenditures Survey, which collects data on the intentions for capital investment and the expenditures for the previous two years. ** This figure reflects the preliminary actuals for capital expenditures for 2010. *** This figure reflects the intentions for capital expenditure for 2011.